The BPL Compass: Strategic Plan was approved by the Boston Public Library’s Board of Trustees on November 15, 2011. In May 2012, at the annual meeting of the Boston Public Library’s Board of Trustees, a version of the strategic plan was published that includes the principles for excellence, the full text of the strategic plan, profiles of community members, a summary of the planning process, examples of outreach, and a range of supporting documents. In 2013, Boston Public Library received a “Best of Show” award in the Advocacy category for the BPL Compass during the American Library Associations’ annual conference. The Library Leadership & Management Association, a division of the American Library Association, presented the “Best of Show” awards, which recognize the best public relations materials produced by libraries. The BPL is a user-centered institution with services that anticipate and respond to neighborhood interests and the changing demographics of the City and Commonwealth. 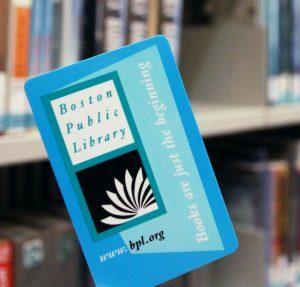 The BPL exists to serve and sustain communities that foster discovery, reading, thinking, conversing, teaching, and learning, in accessible, sustainable, and welcoming facilities throughout the City, as well as with an engaging online presence. The BPL is committed to the ongoing development and preservation of its distinctive special collections, which provide citizens from all walks of life with access to their common cultural heritage. The BPL fosters the love of reading and skills in critical and creative thinking among children and teens – from early literacy through mature readership – by offering a slate of services that provide academic support and intellectual growth. The BPL provides access to and training in innovative technology, electronic resources, and digital information through its own holdings and its strategic position within the wider world of knowledge. The BPL depends on sustainability of resources through a judicious stewardship of finances; active employee participation and professional development in an environment of dignity and respect; and partnerships that enrich services, expand outreach, and leverage public investment through private support.